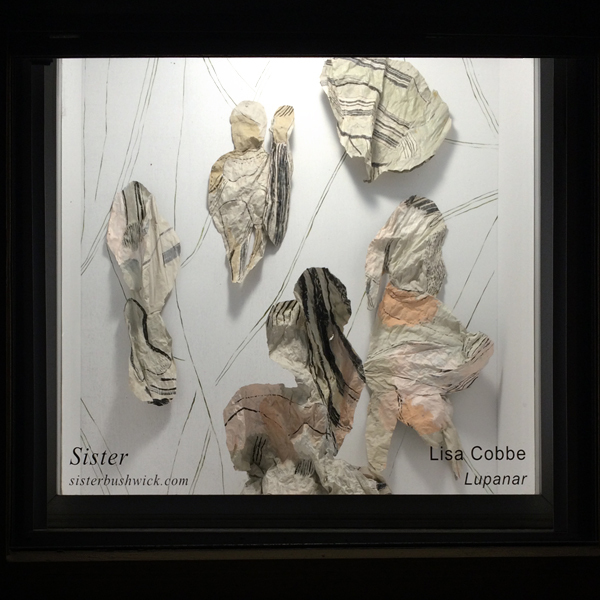 I seem to me …"
Sister is very pleased to present a show by Brooklyn based artist Lisa Cobbe. Taken from the latin word for prostitute (literally "she-wolf") Cobbe's constructions evoke the sordid world of Pompeii and the spirits of ancient women. Like scraps left behind or dirty rags flung against the wall of Lupanare Grande, Pompeii's most infamous brothel, Cobbe's nimble and deceptively precious constructions take on the symbolic female form in a way that is at once abject and empowering. Born in Escondido, CA, Lisa Cobbe lives and works in Brooklyn, NY. She graduated with a BFA from the University of California San Diego in 2010 and received an MFA from Columbia University in 2012.